You’ve got your schedule nailed down and have created a wellness ritual. You’re sleeping better, eating better, feeling flexible and powerful. You attend your regular classes every week and you’ve got this wellness thing all figured out. Did you know you can book your classes one time and all your favorite classes will be booked automatically moving forward? Yup, it’s true! You’ll never have to remember to book, wonder will there be a spot for you in your favorite class again. Just book your recurring visit and if your schedule changes one week, you can cancel it easily using your Mantra Yoga App. 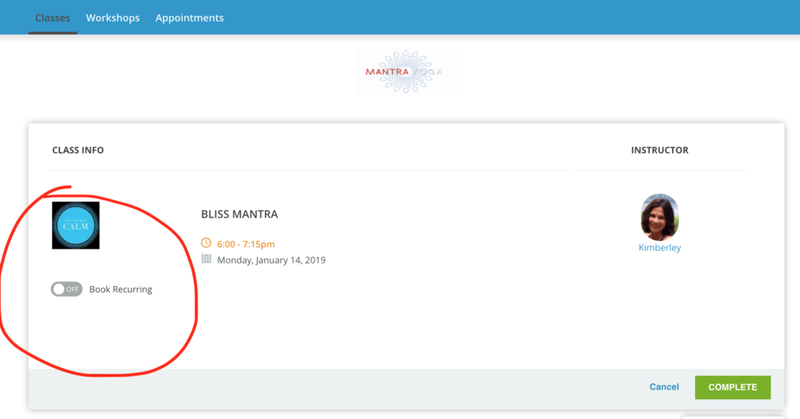 Bonus: You can link your Mantra Yoga account with your Google calendar and your bookings will automatically populate in it. Seriously, how awesome is that?!? Simply log into your Mantra Yoga account via your desktop and set yourself up for success today!